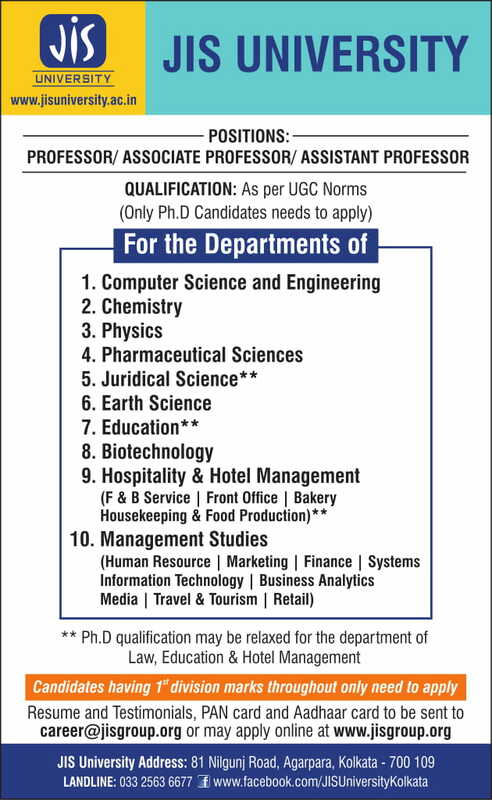 Entrepreneurship Development Cell: This cell is run and managed by the Department of Management Studies. The main aim of this cell is to nurture and hone the skills of budding entrepreneurs among the students and to that end this cell works immensely by identifying such talent among the students and then providing them support in such means as may be necessary to ensure that the students are not held back by reason of lack of resources. 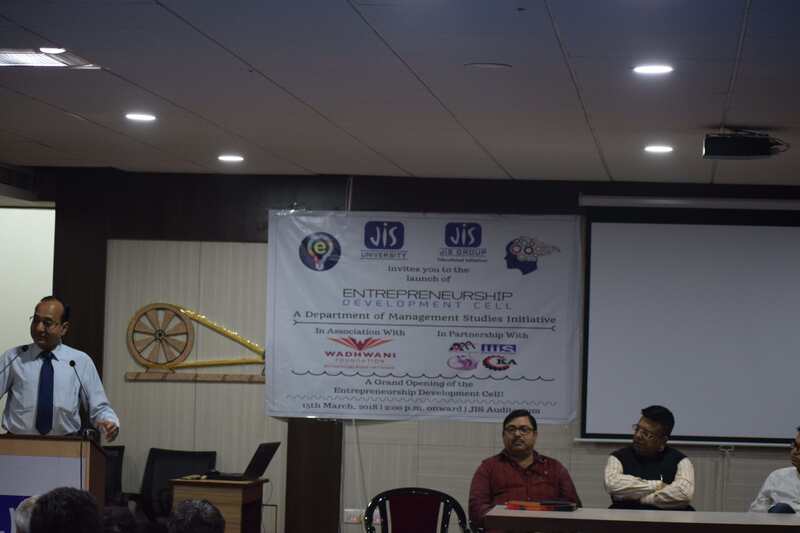 On 15th March, 2018 the grand opening of the Entrepreneurship Development Cell of JIS University was led by the Department of Management Studies in partnership with Aich Group of Companies and in association with National Entrepreneurship Network (NEN), a Wadhwani Foundation initiative. 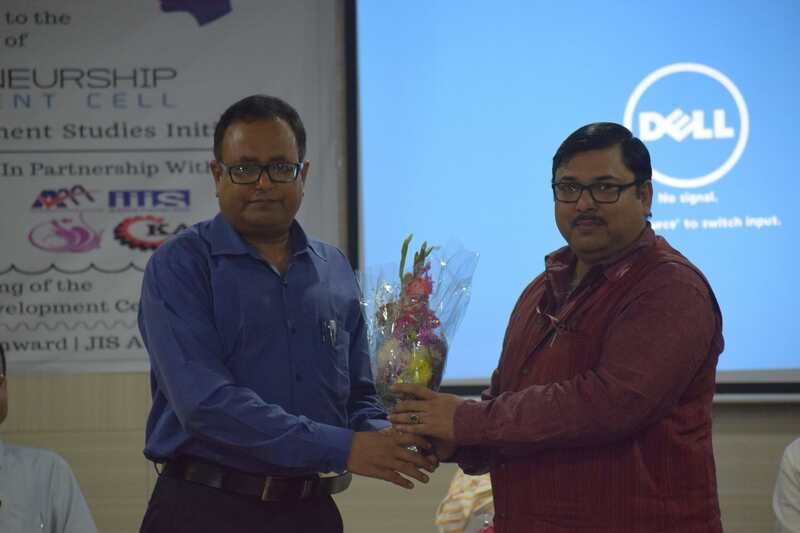 The Chief Guest of the event was Mr. Indranil Aich, Director of Aich Group of Companies. 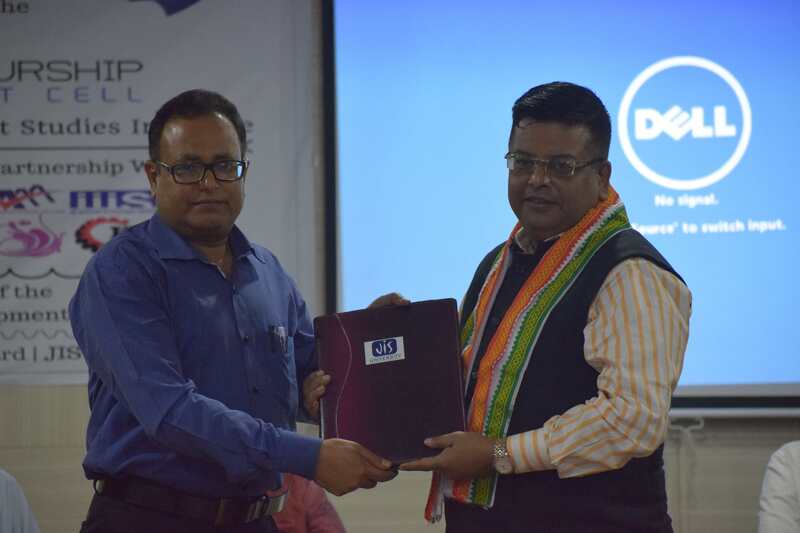 The event was also graced by Mr. Subhabrata Bhattacharjee, Regional Manager of Wadhwani Foundation as well as Mr. Hindol Goswami, Deputy Editor, Bangla YourStory and Co-Founder & Director, Startfed. The Inaugural Ceremony was done by our very own Hon'ble Vice Chancellor Prof. B. C. Mal. The Keynote address was given by Shri Indranil Aich. It was followed by a panel discussion on 'Getting started with Entrepreneurship'. Students from different faculties of the University attended the same and there was a healthy Q&A session as well. 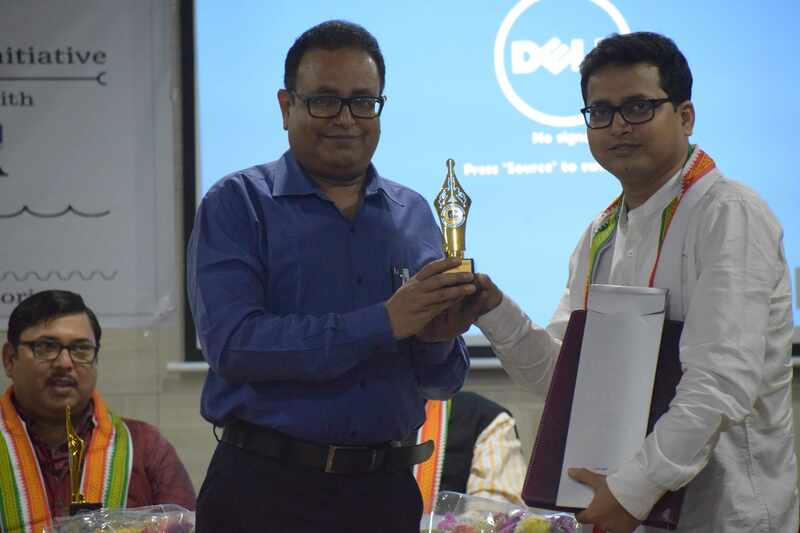 The program concluded with Vote of thanks by the Head of the Department Prof. Shibnath Banerjee.